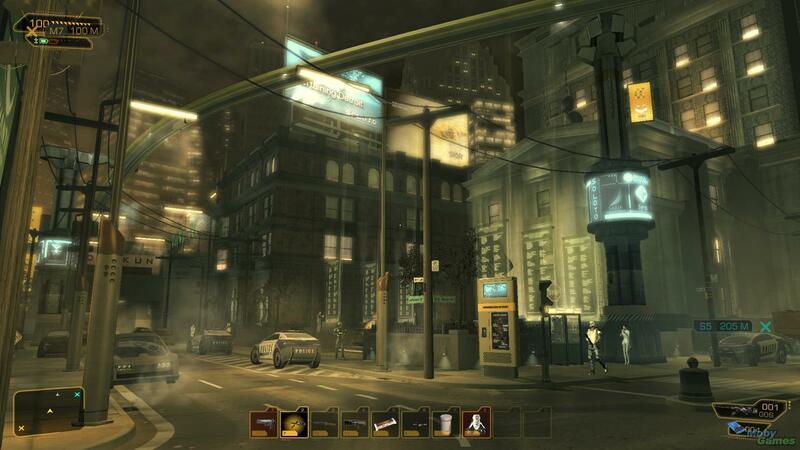 The Deus Ex series has always been one of gaming’s most intriguing. Ion Storm’s breakout first-person shooter cyberpunk experience teetered around all the concepts of the great literary science fiction writers. Now, over a decade since it launched, Eidos Interactive has expanded on any preconceived ideology with an even more harrowingly poignant insight into the morality of technological advancement. 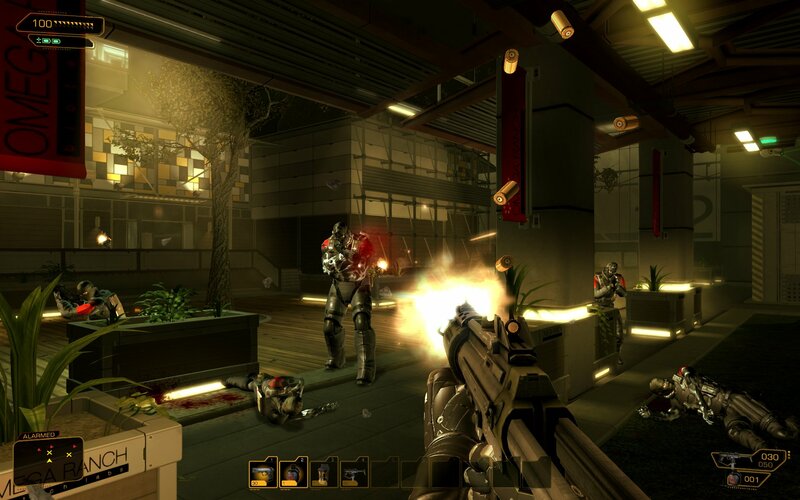 Sneaking around the crevices of our mind, Deus Ex: Human Revolution challenges even the most hardened of individuals with often damnable, contentious choices, that force us to continually contemplate the infinite problem of man and machine. Can a game be more than the sum of its parts? If this new iteration of the Deus Ex franchise is anything to go by then the answer is resoundingly affirmative. Taking place 25 years before the events of the original game, Human Revolution begins by introducing us to alpha-male, monotone Adam Jensen, a security officer for Sariff Industries, a leading biotech company in the heart of Detroit. After reacting to a terrorist attack on the company, Jensen ends up living dead and is given multiple biotech implants and mechanical augmentations. He is now a super-weapon; more than that however, he is a living representation of the next stage of human evolution, a theme that runs right throughout the game. Human Revolution deals with the very ethical dilemma of transhumanism. Is Adam now a man, is he is machine, or is he something else entirely? Once you have recovered and been let out of the company building, you’re immediately immersed in a neon-filled glow that hides the dank, depressing seediness of Detroit. Regular police patrols hint at a state mentality, whilst gangs of mech-enhanced thugs linger in the shadows plotting their next big move. Stopping for a moment and just watching the world Adam Jensen resides in, it’s unequivocally ‘beautiful’ despite likely not adhering to any definition of the word. Perhaps putting an adjective like desperate before beautiful is the best way to portray it en masse. As Jensen moves around the backwater alleyways and slicks in-and-out of crumbling buildings it’s very hard not to be affected by the sheer depravity of the world. A beautiful depravity. Yes, we’ll go with that. Jensen dispenses justice wherever he goes. Human Revolution makes a point of giving you the option to kill or subdue. While it doesn’t necessarily add anything to the decisions at the end of the game, it does provide much appreciated information regarding the behind-the-scenes of the plot. Questionable individuals and morally-bankrupt millionaires are the subject of a lot of Jensen’s focus, and while killing them can be satisfying in and of itself, inevitably you’ll let them live in the hope that they provide you with conversation on their intentions and the intentions of others involved in the backstabbery going on. Human Revolution’s mechanics play a big part in getting to targets unnoticed. This is a first-person shooter, but can, if required, be played out entirely as a stealth game. For that reason it has to be commended for its attempts to provide the player with different possible playthroughs. I found that attempting the maniacal gun-slinging approach was so tough that a stealth based walkthrough seemed the preferable route. It’s indeed testament to the developers that players have reasonable grounds to choose to run-and-gun or sneak-and-slide given that the balance of other games seeking to do similar things has somewhat failed on average. Finding an open vent to enter the computer room to switch off all security cameras is equally comparable to taking out two or three guards with long range head-shots. Of course, the value of the gameplay in Human Revolution is knowing a balance of both will enable you to get further without suspicions being raised in the long term. Quite a delectable proposition and achievement by all accounts. Combat itself does remain fairly derivative of past first-person shooters and doesn’t break the boundaries but is simplistic and varied enough to be less of an issue, particularly given that combat isn’t as important dependent on your style of play. You have the option to carry a whole host of standard weapons, such as pistols, machine guns and rocket launchers, but if diligent enough in your kleptomaniac inspired scrounging of bits and pieces, you can find the occasional interesting piece like a crossbow or the P.E.P.S, an energy based handgun. Nevertheless, despite finding all these weapons scattered throughout the game, holding onto them is a matter of inventory space. As such, you probably won’t be able to carry more than three guns at one time unless you upgrade your skill sets to unlock more room. Unlocking skills and talents is significantly more adventurous than the weapon system. As a mechanically augmented human, bordering on machine, Jensen gets to upgrade when he has a device called a Praxis. Once you’ve collected enough ‘Praxis points’ you can effectively build yourself depending on the way you play the game. So, for example, you might start by putting all your points into stealth categories that allow you to see enemies further away on the mini map, control enemy turrets and security drones, or learn higher levels of hacking to crack into secure units and buildings. Alternatively, you could place your points in combat orientated slots that allow more health, less damage done from jumping from a large height or resistance to poisonous gases. It’s a greatly well-realised system because it invites the player to invest in specific skills based on how they want to go about the mission. Despite one of the Praxis options being increased personality to get more information from characters, Jensen himself is, admittedly, a very dull person. Whether or not he was designed as such to replicate the conundrum between man/machine is one thing, but regardless of concept he doesn’t exactly ooze charisma, which is somewhat distracting. Yet, when all is said and done this is not a game about characters but rather a concept accentuated by the backstories of the characters. Sure, Jensen might effortlessly lull you to sleep with his mundane tones but undoubtedly his unravelling of his own history serves the greater story as a collective and that’s more important than the refined personality of a half-android anyway. So, even if you dislike all the characters in Human Revolution, you have to acknowledge that they all serve the story rather than being typically front and centre like other videogames. Adam Jensen constantly has dreams of Daedalus and Icarus. Daedalus locked up in a tower, despite being the creator of technological marvels, conspires to escape. He believes he has invented that which will change mankind until the moment his son flies too high and falls to his death. 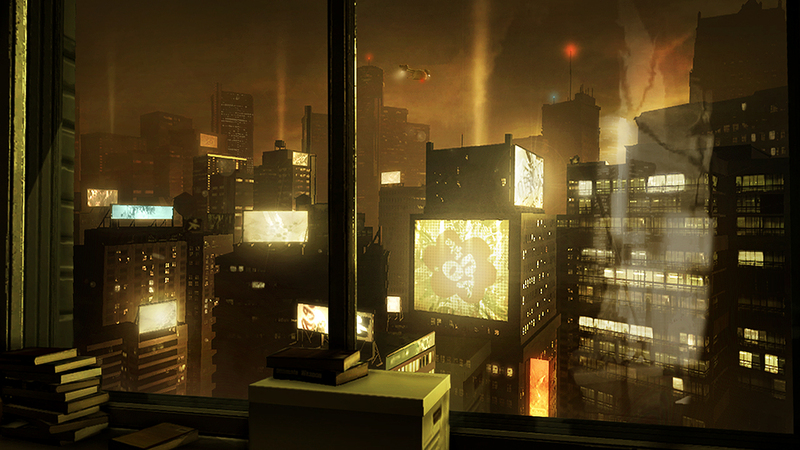 Deus Ex: Human Revolution on the other hand does not fall. By charging the player with recognising the fallacies of mankind and not overlooking the dangers of technological advancement, it soars to this day alongside the very eminent creations of this artistic medium.